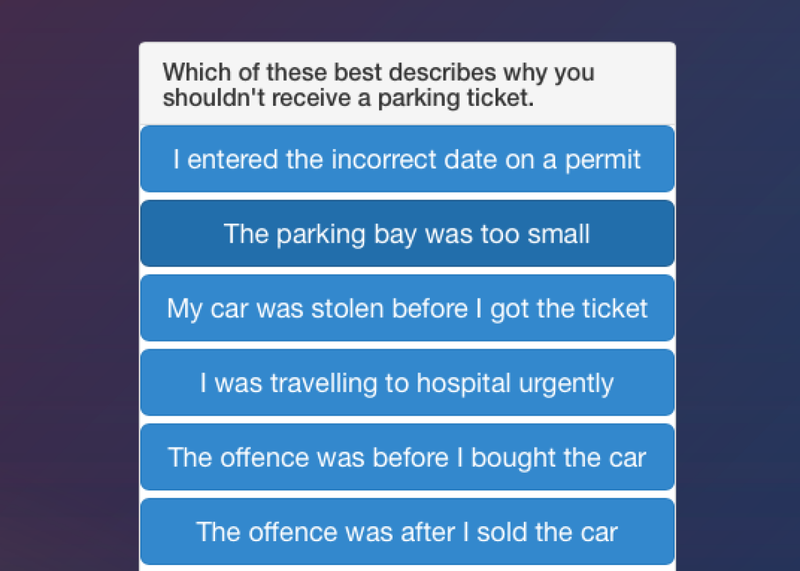 A chatbot for parking tickets shows how bots can actually be useful. DoNotPay has saved Londoners from some 160,000 parking tickets, according to its 19-year-old creator. In a time of bots that can at best order flowers and at worst turn into Nazis, a 19-year-old Stanford kid has surprised everyone by building one that does something both useful and nontrivial. The result? According to the bot’s creator, Joshua Browder, DoNotPay has guided Londoners through 250,000 appeals—and they’ve won 160,000 of them. Browder, who was born in London and launched DoNotPay there, has since expanded the service to New York City. So far it has been used more than 9,000 times by New Yorkers, Browder told VentureBeat. It’s available on the Web at donotpay.co.uk, or as an Android app. Browder calls the bot “the world’s first robot lawyer.” That might be a little grandiose for such a rudimentary widget, as is Browder’s claim to VentureBeat that “people getting parking tickets are the most vulnerable in society.” But hey, he’s 19, and he’s got big dreams. Try DoNotPay and you’ll quickly see that this is not exactly the state of the art in artificial intelligence. (If you want to know more about the state of that art, read this instead.) Rather, it’s a relatively simple software agent that layers some basic language understanding on top of what is essentially a straightforward issue tree. Yet what DoNotPay demonstrates is that bots don’t need to be particularly intelligent to be useful. There is a class of everyday problems that are relatively easy to overcome if you just know the relevant rules. But ascertaining those rules and applying them to your particular circumstances can feel like enough of a chore to deter people from trying. And in many cases, as with contesting parking tickets, people aren’t aware of just how simple the problem really is. In those cases, a bot such as DoNotPay feels like just the right approach to help people over the barriers that prevent them from exercising their rights.